"The city would like to reiterate that public amenities are available to all members of the public and will continue to work hard to ensure safe and good quality beaches for all the people of this city and our visitors," said the city. The city said PPA's statement is inaccurate and it did not have a contract with the security company. "The city has at no stage given any authority to PPA to enforce by-laws. All city beaches are open to all members of the public. 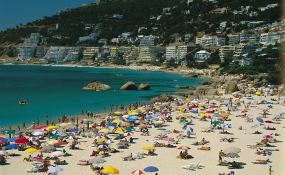 While the city is able to set times of usage at beaches, we do not impose this unless there is a specific threat to public safety," said the city, adding that private security companies have no mandate to enforce municipal by-laws.